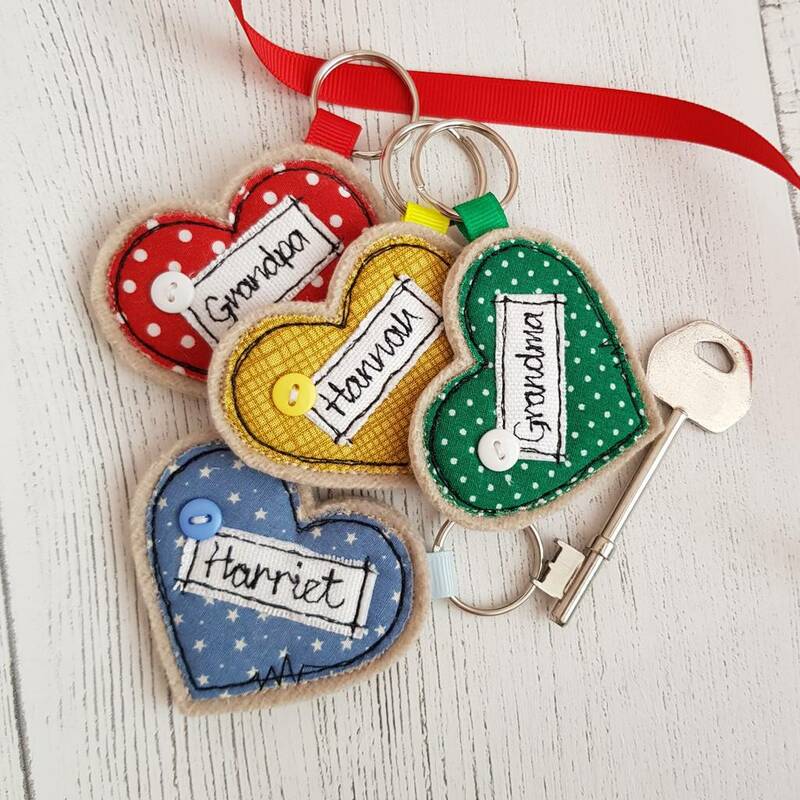 A pretty handmade keyring for that special person in your life. 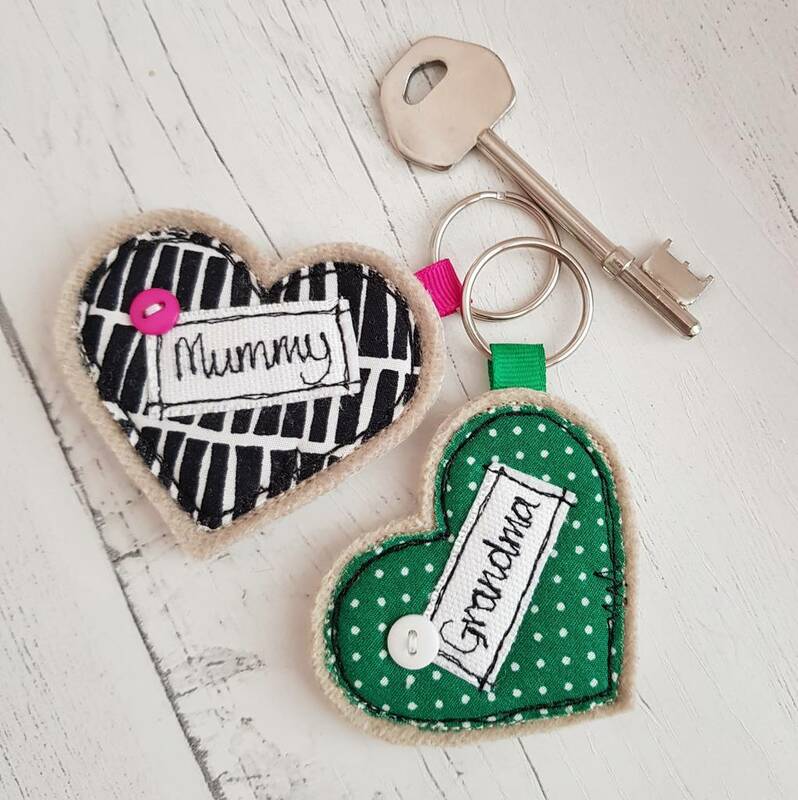 A perfect Mother's Day gift, that is personalised to let someone know how much they mean to you or simply as a thank you. 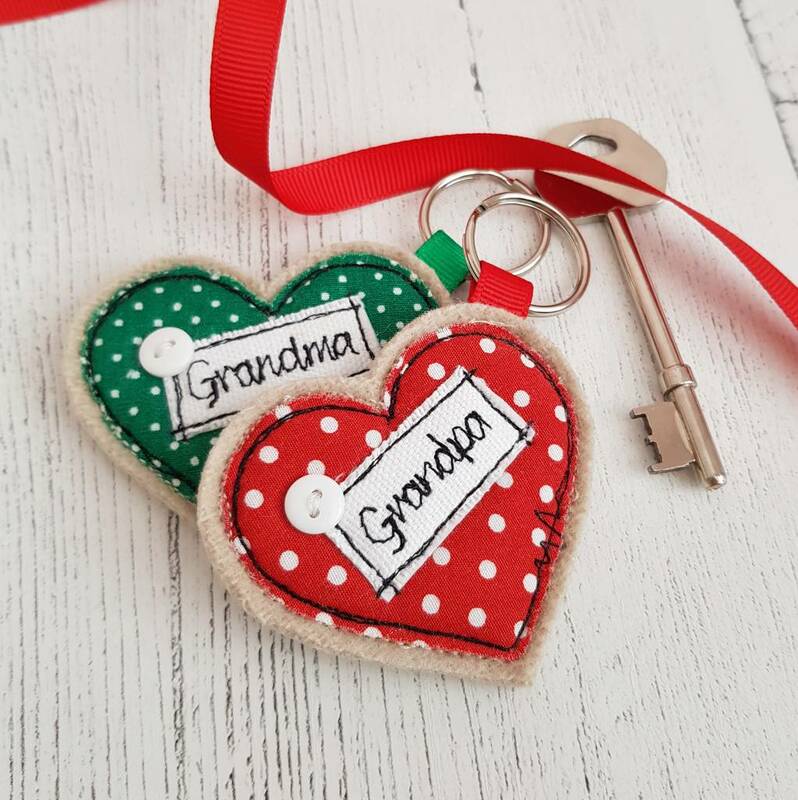 A family member, teacher or friend or even just to label the shed! 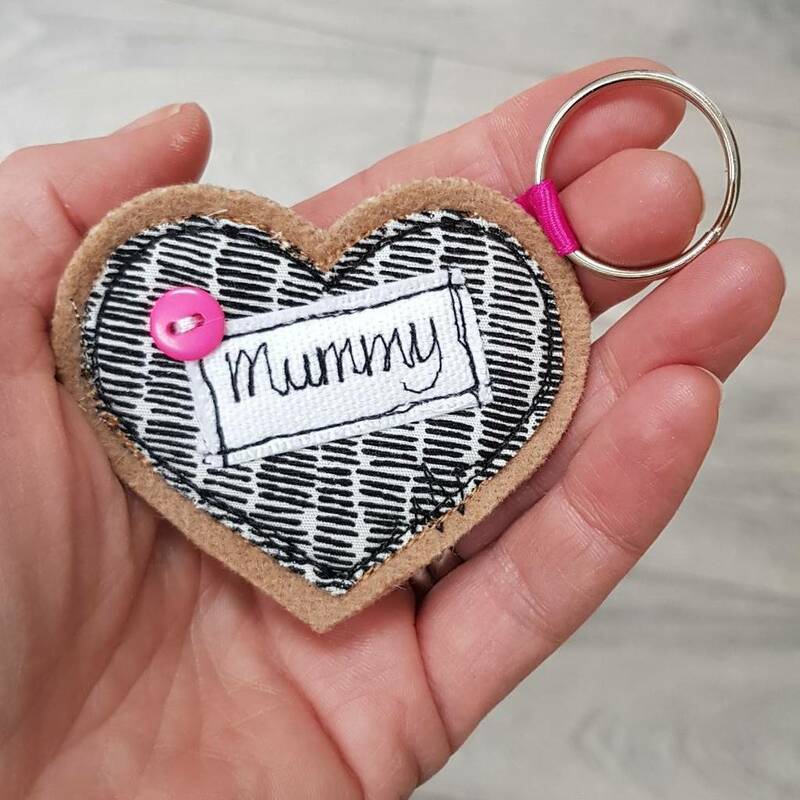 Made using a freehand machine embroidery technique, and then finished with a cute mini button. 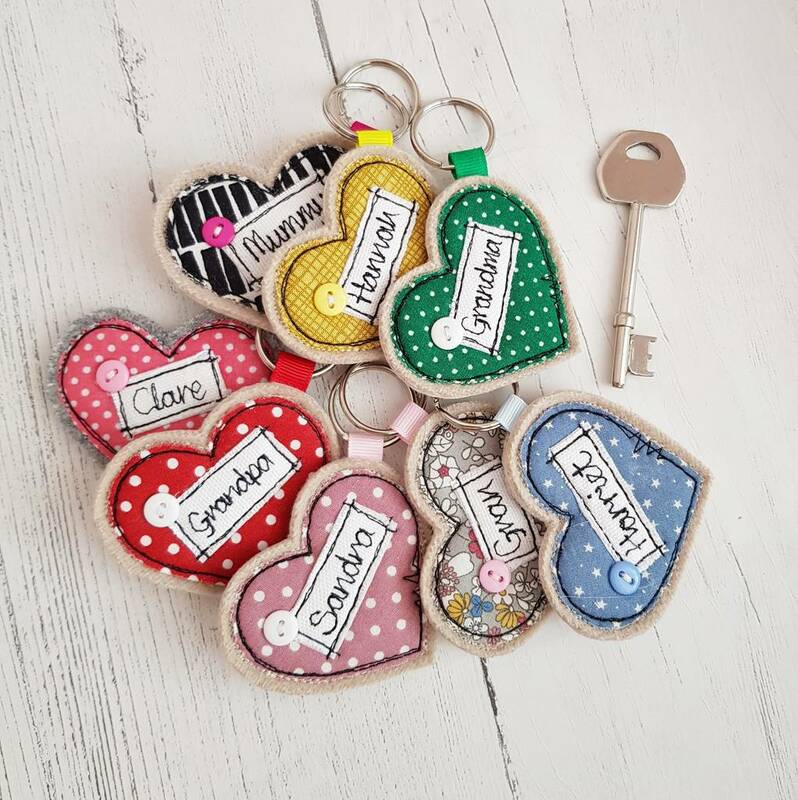 This fabric heart keyring has been handmade using pretty cottons, appliqued onto a hardwearing quality wool fabric. Personalised with the word of your choice to complete. 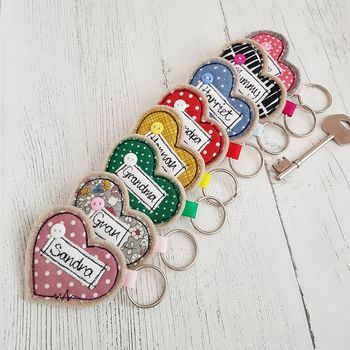 Choose from 6 different colours, red, green, candy pink, dusky pink, floral or Blue, and then the words, we all call our mothers something different so choose the wording from mum, and mummy, and traditional mother, or maybe you would like something completely different, choose from the drop down menu. Comes with metal keyring. Due to the handmade nature of this product, slight variations will occur, but this only adds to the originality. 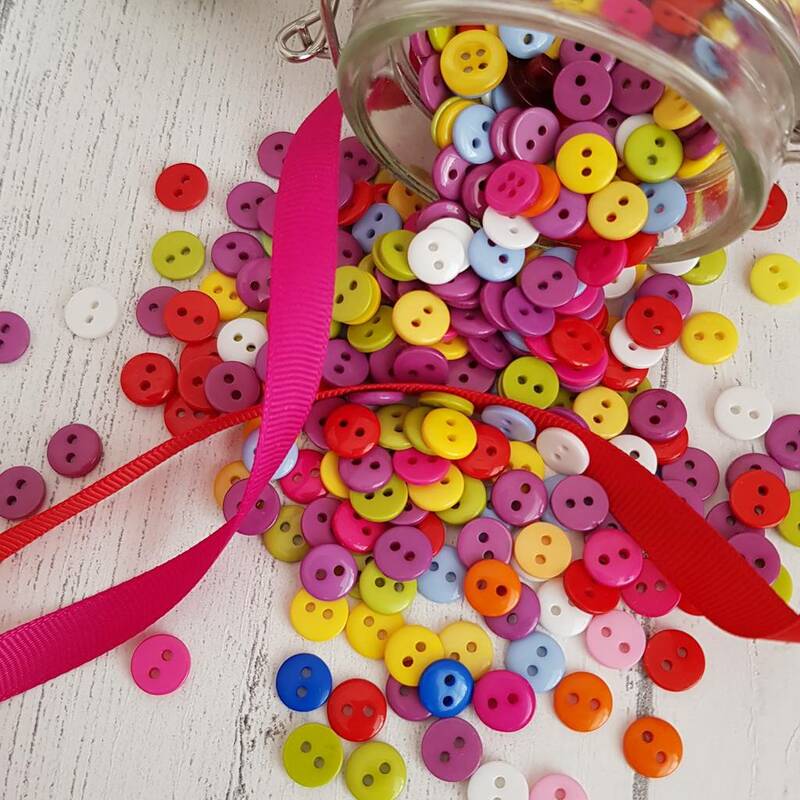 Free postage is for Royal Mail 2nd class delivery which takes around 2-3 day. 1st class postage is also available at an extra cost.